It is hard for me to imagine a living organism on this earth that is over 4,000 years old. 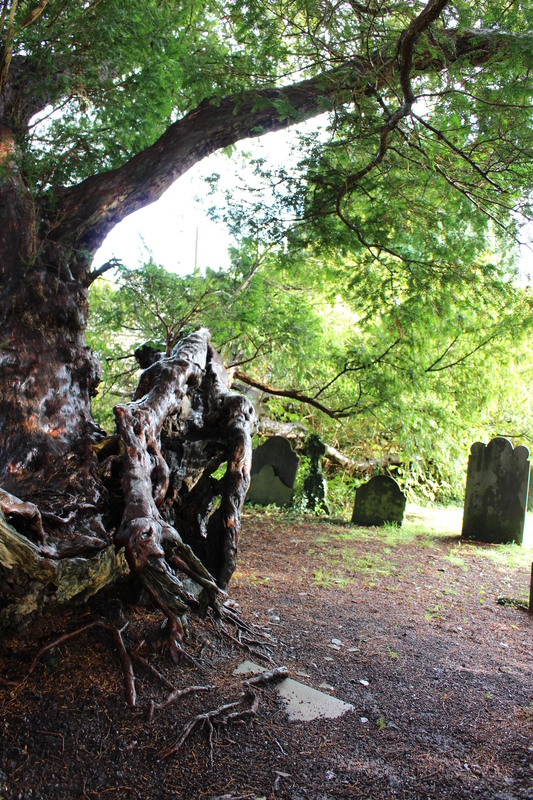 This yew tree, Llangernyw, would have been alive 2,000 years BEFORE Christ walked the earth. It was alive through all of modern recorded history. It was around when the pyramids were being built. We were there. We touched it, we left our imprint. It will probably still be alive long after we have passed from this life. 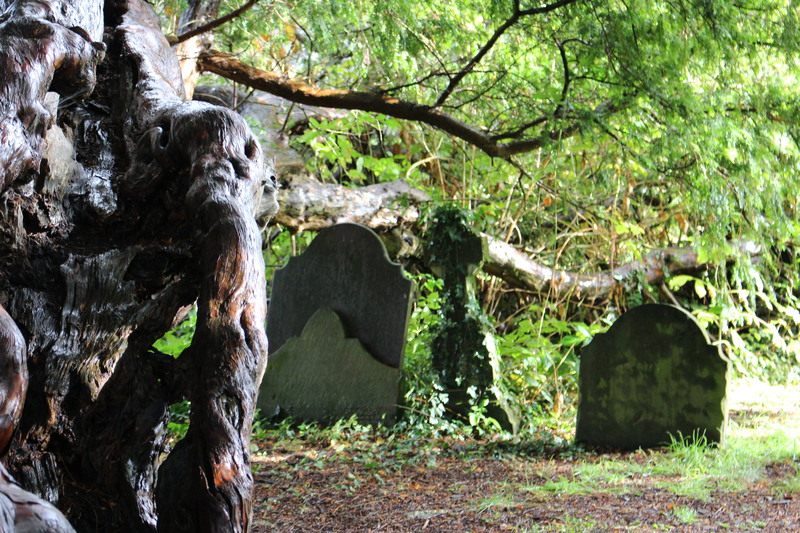 I have often thought about trees and the stories they could tell if they could but speak. This one could fill a library. 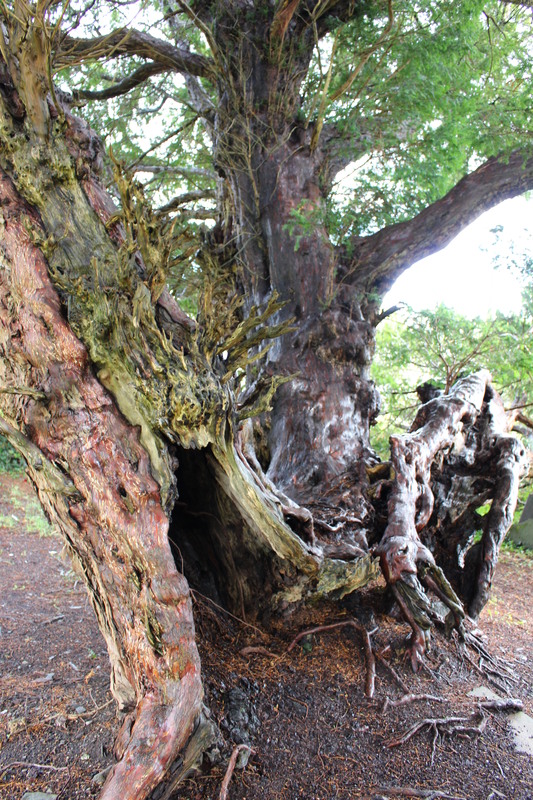 Of course, my curiosity drove me to research other “oldest trees,” and I was stunned by what I found. There is another known tree in Iran, the Zoroastrian Sarv, estimated to be about the same age as the tree we vised in Wales. These two are mere children compared to the Mac Daddy of them all. 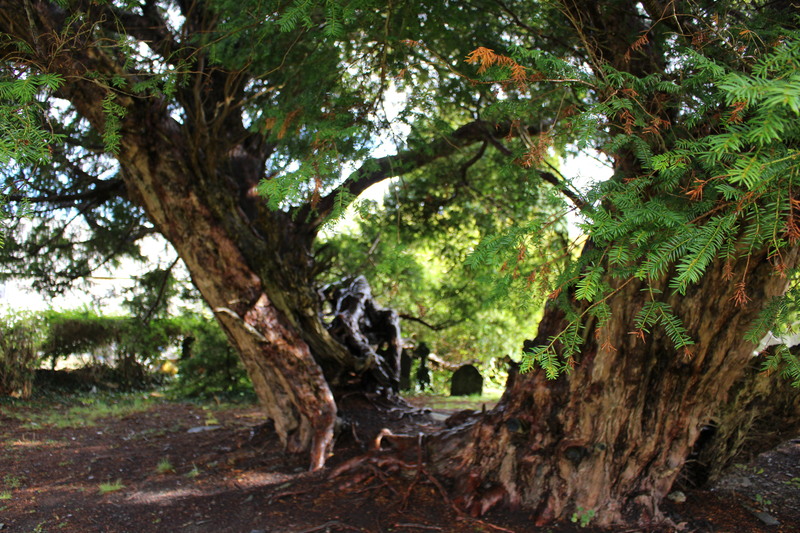 The world’s oldest known living tree is more than twice as old as Wale’s yew tree, and estimated to have sprouted sometime during the last Ice Age, roughly 9,550 years ago. The 16-foot spruce in the Dalarna province of Sweden has a root system that got started when the British Isles were still connected to Europe by an ice bridge. The United States can lay claim to one of the oldest trees known to man on the planet. Methuselah, as the tree has been affectionately named after the oldest man in the Bible, is a bristlecone pine tree in California’s White Mountains. 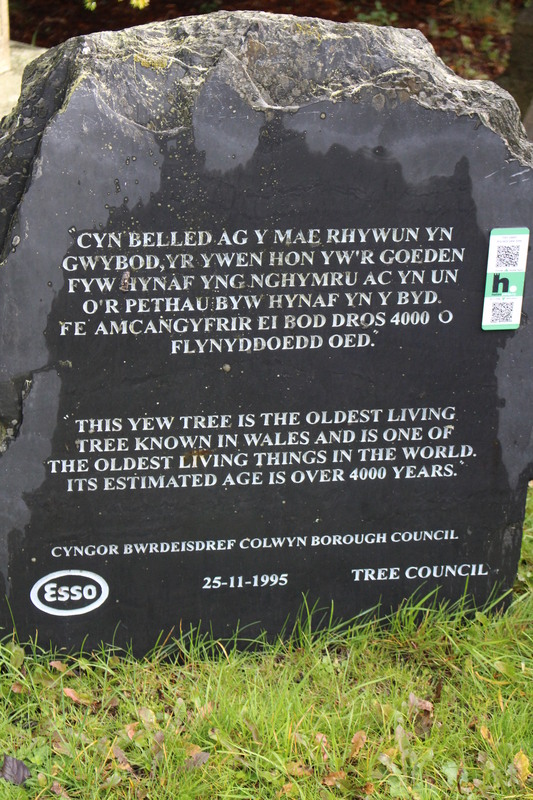 The tree is estimated to be almost 5,000 years old. 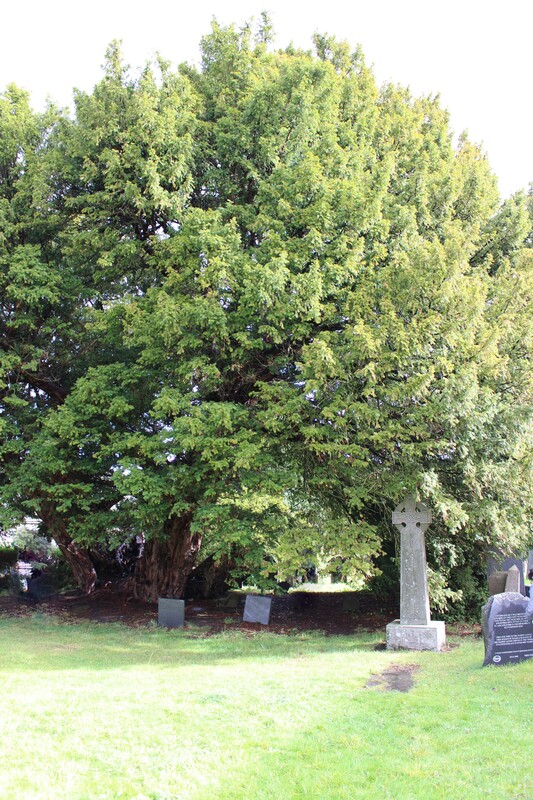 The location of the tree is not public knowledge in order to protect and preserve the tree. 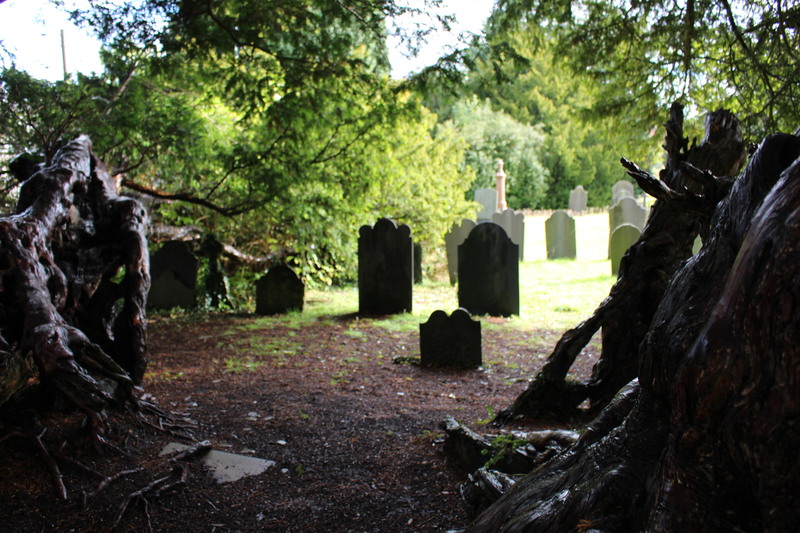 It seemed that in our month long travels across the UK, God had ordered our steps to connect us with the ancient things of those places from the castle at Cashel, the Book of Kells, Giant’s Causeway, and even the oldest living tree. I am in many ways still connecting the dots of those things most significant in our journey. I am very thankful that our stops included a visit to this historic tree.